Most Mamas can make plenty of milk for their baby or babies. Make sure low milk supply is in fact something you are experiencing before you start treating it! Milk supply is a balancing act and overcorrecting a low supply can land you in the opposite problem of oversupply! Here are a few common false alarms. Generally, around “two to three weeks, six weeks and three months of age” your baby will want to nurse longer and more frequent due to growth spurts. Allow your baby to eat as much as he or she wants. This will tell your body to create more milk, and once it does, your baby will return to his or her normal breastfeeding schedule. Around 6 weeks, you may notice your baby’s bowel movements decrease back to once every day, or to even to a few times each week due to the colostrum no longer being in your milk. This is also O.K. By 6 weeks to 2 months you may notice your breasts may no longer feel full or your baby is only breastfeeding for 5 minutes or so. 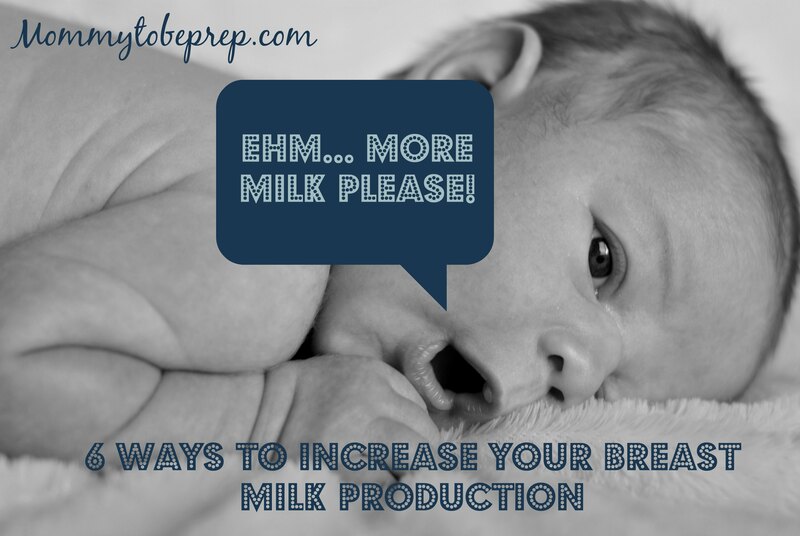 This is okay and it just means your body has become more proficient at removing the milk! The best way to tell if you are producing enough breast milk is by checking your baby’s weight gain regularly. You may also want to check out my post The 5 Ps of Breastfeeding under “How do you know your baby is getting enough?” If you do find that you are not producing enough milk for your baby, or that your baby is loosing weight, get in contact with your Pediatrician immediately. Offer the breast to your baby at least every three hours and let he or she feed for as long as they want. Do not switch breasts until the baby slows down or stops and then offer the second breast (this way your baby can get the hindmilk). Avoid or limit the use of a pacifier. Do not give your baby anything other than breast milk until 6 months old unless advised by a Doctor. If you do need to supplement, use a spoon, cup, or dropper. Take care of yourself, drink enough water and give yourself enough time to rest.